The great majority of sinusitis patients in Los Angeles don’t have chronic sinusitis but suffer from Recurrent Acute Rhinosinusitis (RARS) or recurrent sinus infections up to 10-12x per year. They usually say that they’re doing well for some time and then their symptoms start off as a cold or allergy attack and then leads to a full blown sinus infection with associated headaches, fevers, thick yellow or green nasal discharge or a productive cough and significant sore throat. Often these symptoms can last for 1-2 weeks and they usually go to their primary care physician or nearest urgent care for antibiotics. They feel better after 7-10 days of antibiotics and are often good for a number of weeks but then the dreaded cycle starts again. This condition is very common and the great majority of sinusitis patients in Los Angeles, Thousand Oaks, Ventura County and most of Southern California tend to fall into this category. As such these patients go from urgent cares to primary care physicians to allergists and ENTs without much helps and are living in a vicious cycle of being ill all the time with a poor quality of life. 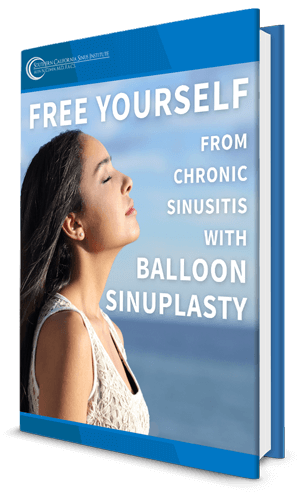 Dr. Cohen and his team at Southern California Sinus Institute are leading nose and sinus specialists and can determine the root cause of the problem in these patients and begin a management strategy that can result in long-term and permanent improvement. Often these patients have both structural issues due to their nose and sinus anatomy as well as inflammatory issues like allergies, smoking, fume-exposure etc. that causes these recurrent infections. As such treatment is aimed at treating the structural issues whether with in-office procedures likely balloon sinuplasty or turbinate reduction or with small outpatient surgeries.